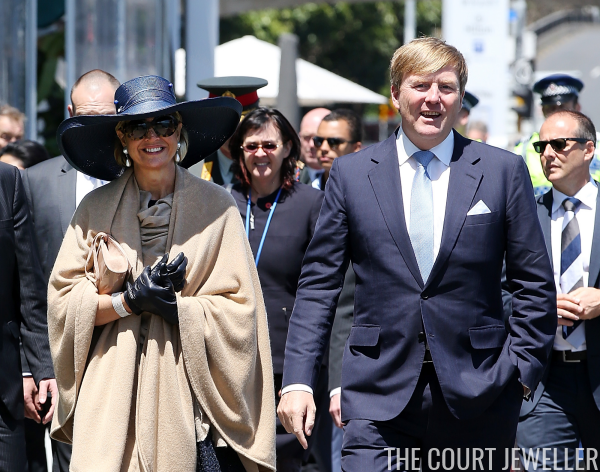 King Willem-Alexander and Queen Maxima of the Netherlands wrapped up their three-day state visit to New Zealand on Wednesday with a day of engagements in Auckland. 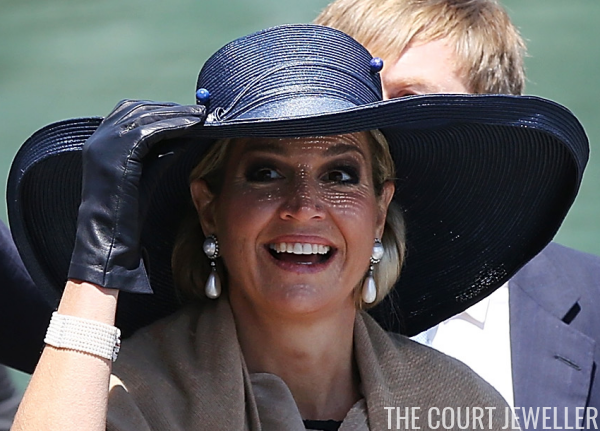 Here's a look at Maxima's jewelry on the last day of the trip. 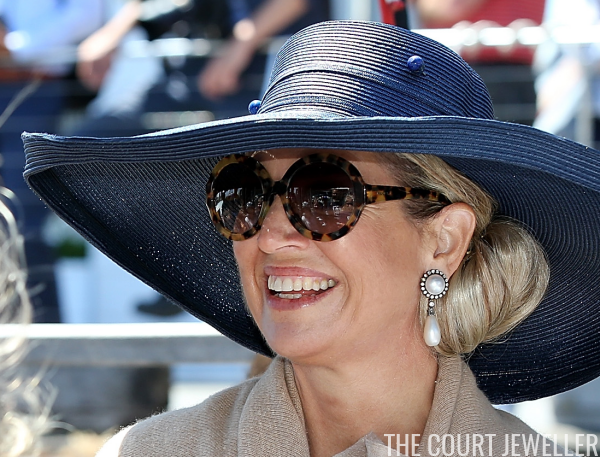 Maxima selected a pair of pearl earrings from her jewelry box. This particular pair features a cluster stud, with a large pearl button surrounded by diamonds. From this stud is suspended a pear-shaped pearl drop. Max also wore a seed pearl bracelet, plus a pair of blue-tipped hat pins.